This is a lovely collection of microfiction, which often teasingly looks over the edge at poetry in the imagery, the choice of words, the spare precise nature of the prose. 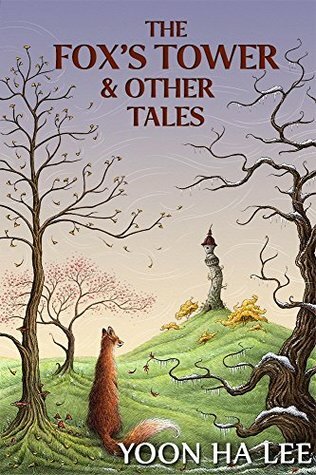 It’s a collection of fable-like stories, some of them more familiar than others, all of them given their own little twist. There were a few that didn’t really strike me, but microfiction is a very difficult art, and I think Yoon Ha Lee does an amazing job with the form. Each word has to be necessary — done. Each image has to evoke a picture, an emotion, a perfect still moment — done. I know Yoon Ha Lee has a sci-fi book deal with Solaris, and I’m definitely looking forward to that on the strength of this. I recommend it! It’s a lovely collection.